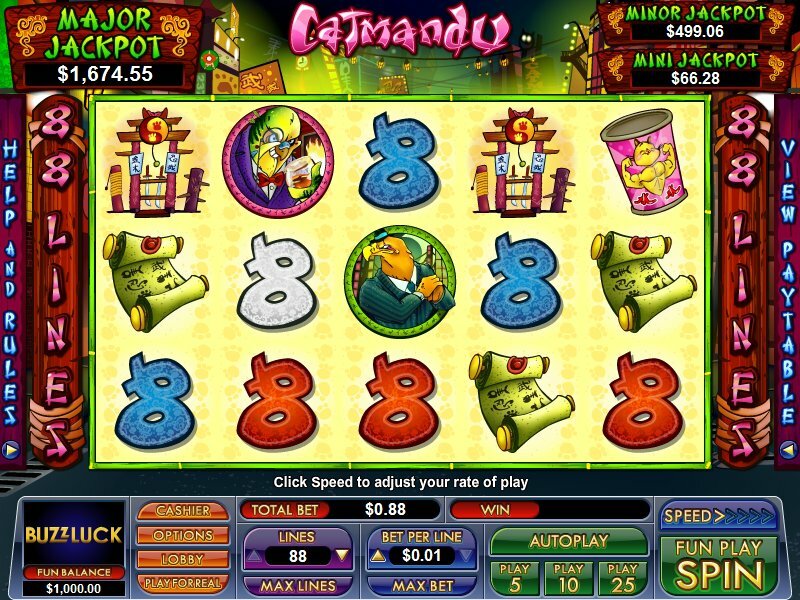 Overview: Enjoy some wild kung fu cat action in NuWork's new 88-line slot game, Catmandu. The Sensei is an expanding Wild symbol that always moves to cover the whole reel when any part of him appears and pays accordingly. One of two Free Games Features can be won, including the Sensei Feature, during which the Sensei stays expanded on reel 3. During the Lotus Flower Feature, some symbols have a background Lotus symbol. Whenever 3 or more Lotus symbols occur in a single spin, each will award up to 3 extra free games! 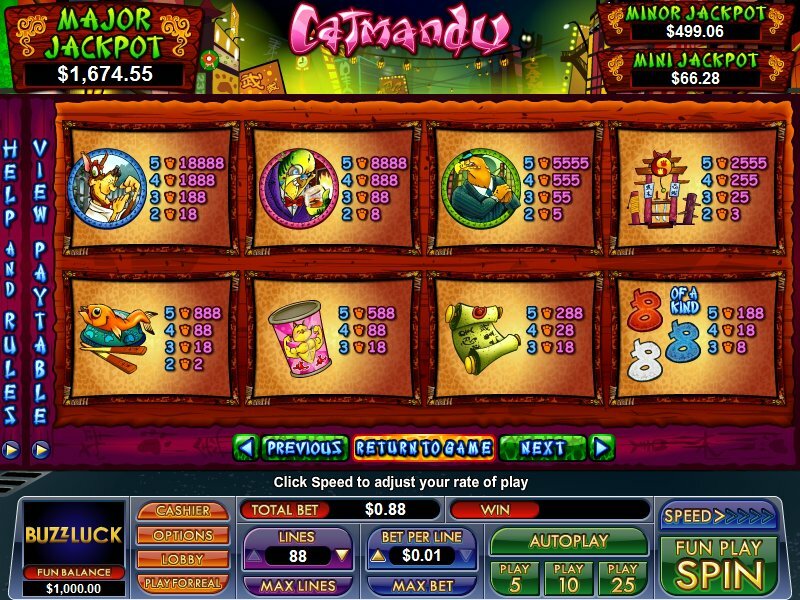 Catmandu also boasts an impressive top 5-of-a-kind pay of 18888 times the line bet, and multiple random jackpots. 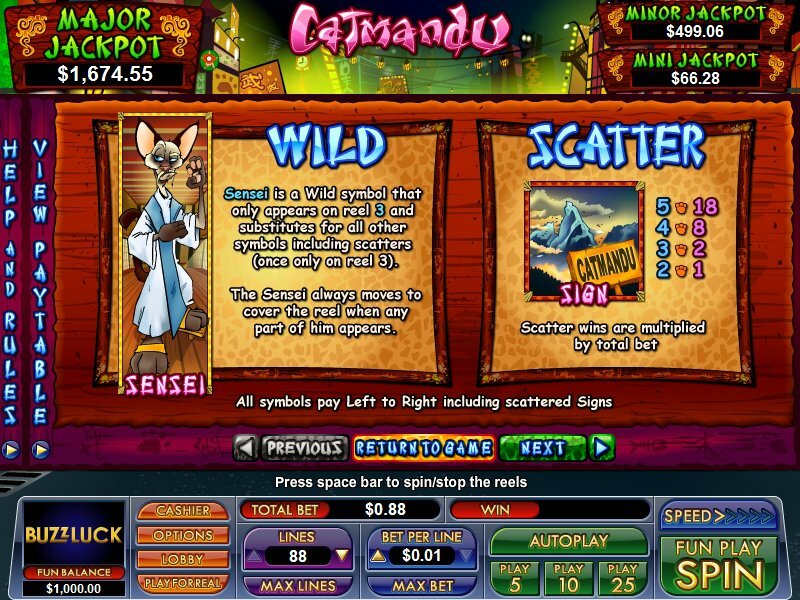 Similar Slots: If you like Catmandu, you might like these other slot machines from NuWorks: Ancient Wonders, Babushka, Cool Pool, Crystal Ball, Persian Queen, Win Big!.